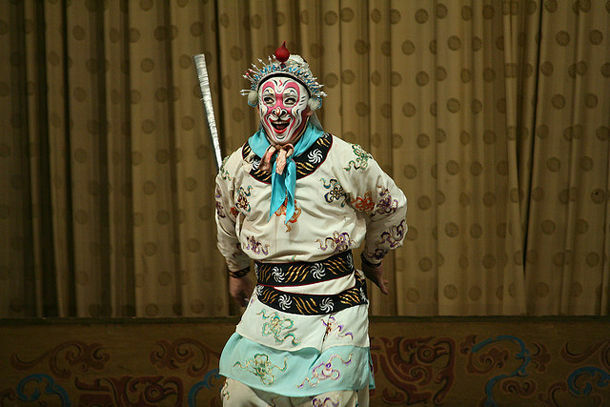 Beijing Opera: Can it get artier? Probably not. Beijing Opera will change what you know of opera. Read about it, its history and choose from the listed houses to see one! If you are on your way to Beijing, get ready to change what you know of opera. A unique and mesmerizing experience is waiting for you to discover the hundreds years old tradition that reflects Chinese art at its best. 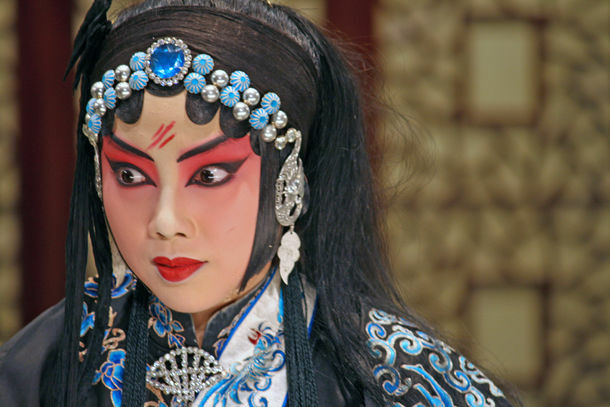 Beijing Opera, also known as the Peking Opera, is a combination of music, mime, acrobatics, dance and vocal performance. The roots of this unique art performance date back to 1790. With the determination and the hard work of the Chinese artists who keep searching for the excellence, Beijing Opera has been living its golden ages for quite a long time now. The first thing you will notice while watching one, is the bright and outstanding make up the artists have on their faces. Actually, the make-up tells a lot about the character. For example the intensive usage of the color red, indicates the braveness whereas yellow stands for the cruelness. In addition, the costumes, which are almost always fancy, complete the characters’ personality. The fascinating moves you are going to see on the stage are actually the products of a hard work. In the old times, the pupils used to be chosen for a 7 year of apprenticeship. Today the education (as of 1952, to be more accurate) required to become a Beijing Opera artist, is provided by the formal schools around the country but still, the road to become one is long one that needs a lot of determination and dedication. The repertoire of the modern Beijing Opera includes more than 1.400 works. Most of these are based on political or civil struggles that used to be in the historical novels. The oldest classification system that is still used today is the one that divides the plays into 2 sub-groups, these are being civil and martial. Civil plays, which are based on the relations between people and individual feelings, include a lot of singing. On the other hand, the martial ones focus on combat skills or actions. The plays, no matter if they are civil or martial, are also grouped as being light or dark. The techniques used in the Beijing Opera, the details of the characters, the music, the mimics and the other elements included as well with its history, of course cannot be explained in one single blog post. However, I can assure you that watching one of these plays will remain as one of a kind experience no matter how much time goes by. The atmosphere of the play and the feeling of amazement will be hard to explain by words. This is one of the most famous theaters in the city. It is preferred by most of the foreign visitors as it also provides English translations. Li Yuan makes it possible for you to enjoy the opera just like the locals do, that’s being sitting at a Baixian Table and eat during the play. In addition, the venue also gives the chance to visit the make-up room of the artists before the show. If you want, you can sit and watch the process and get to know a bit more about this beautiful art form. This is one of the new theaters In Beijing. Since the technology it is equipped with is highly advanced, it is regarded as the best in terms of the acoustic. There is also a museum on the second floor where the costumes and accessories of the artists are exhibited. This is one another famous theatre in Beijing. The historical building represent the characteristics of the Chinese architecture. Unfortunately no subtitles are provided in the plays however the big booklet that is given before has got all the information you may need. This wooden theatre is one of the oldest ones in Beijing and therefore has a special place among all. In addition, it is considered to be one of the most beautiful buildings in Beijing.